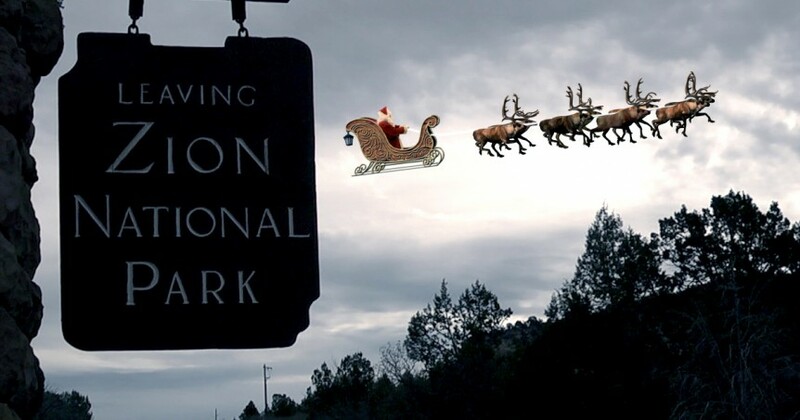 In the beautiful national park of Zion, our video elf Buttercup has been waiting to spot Santa Claus. She got the closest we have ever been to Santa Claus in this video, that’s why she is one of our favorite elves. Zion which was established as a park in 1909 covers an area of 147,551 acres, which is a lot of ground to cover. There are 79 different species of mammals at the park and 289 different birds.